Our August 2017 window, designed by Marjorie Perez of Something Planned Events is inspired by the warmth of summer and aspirations of the perfect wedding. Dream catcher-inspired mobiles using intricate laces and motifs of sand, florals and weathered decor creates a relaxed scene. The custom canopy gives off a boho vibe for outdoor events. 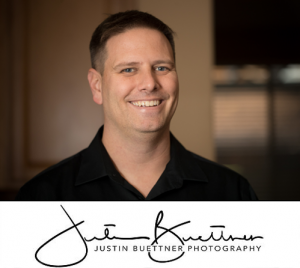 Special thanks to Justin Buettner Photography for the photos. Marjorie Perez was in high school when she started creating memorable experiences. Later as a full-time Legislative Assistant she had the urge to p lan events. Now over the past 20 years, she has coordinated everything from weddings to Quinceaneras to baby showers. And she has received past Professional of the Year and President’s Awards from the Association of Wedding Professionals International. Marjorie finds inspiration in all things, from everyday items to nature. And even though she could go anywhere in the world, her favorite place to be is with her family, including her three children who are also part of Something Planned Events. In her spare time she enjoys spending time with family, relaxing and cooking. As a young child, Justin was always making videos and shooting images of his toy Star Wars action figures. He went into cinematography when he lived in Los Angeles, and then became Head of Graphics for Jewelry.com right out of college. He has been primarily a wedding photographer the last 13 years, which is something he loves – working with people. He loves their stories and their personalities. One thing you will notice about Justin that he’s a people person, which his clients love because he asks a lot of questions and learns about them. He believes there is something to learn from everyone he meets. When Justin isn’t off shooting in some beautiful Pacific Coast area, you will find him playing with his kids, playing basketball, drawing or planning his next great white shark cave diving excursion.